December is one of the most highly anticipated months of the year in Bali and that’s because the Christmas and New Years festivities take over the island. Perhaps most anticipated however are the festive feasts prepared by Bali’s best restaurants; elaborate spreads that pay homage to the season. 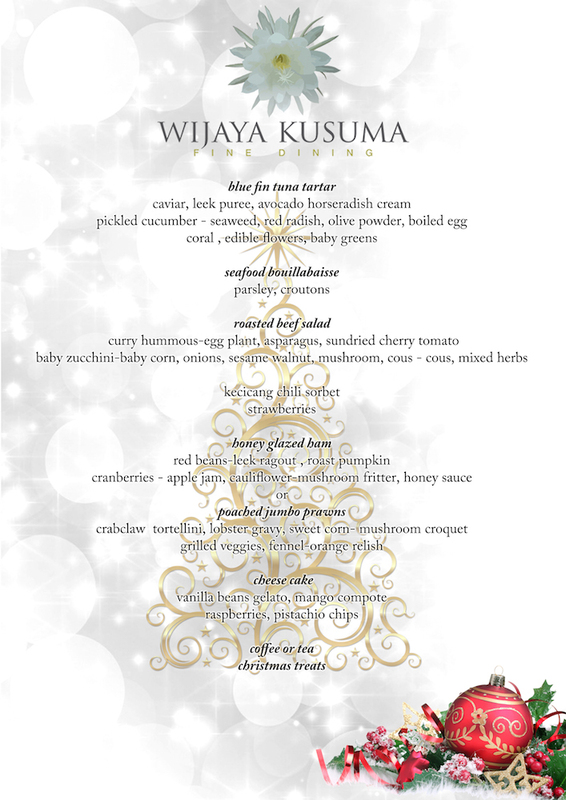 This year, the Wijaya Kusuma Fine Dining Restaurant in the Ayung Resort Ubud has pulled out all the stops to prepare two great festive meals. The Ayung Resort Ubud perches on the edge of the Ayung River valley, verdant greens the only thing visible. 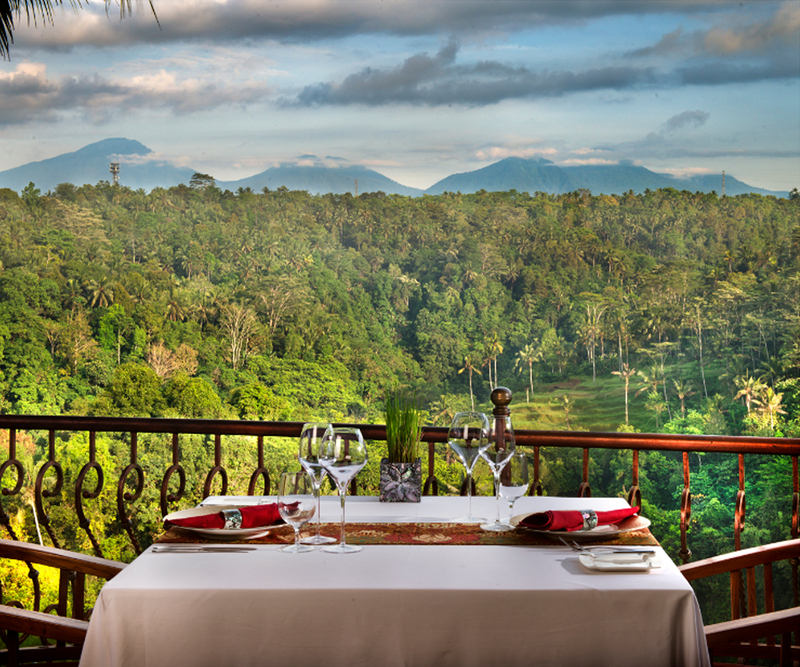 It is these views that the Wijaya Kusuma Fine Dining Restaurant enjoys. An open terrace styled venue, decorated with Indonesian art and carvings, it is a testament to Bali and beyond. 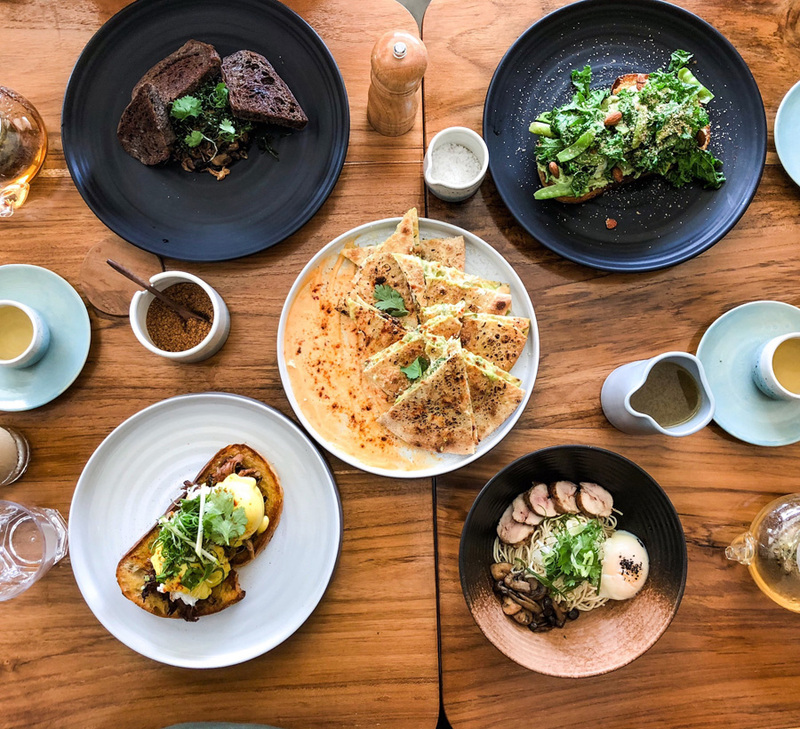 The dining is of course the highlight; Chef Made Lugra prepares an eclectic mix of Balinese, Indonesian, Asian and European food prepared in a fine, yet hearty style. This Christmas, Chef Made has prepared a fantastic 5-course menu for dinner, featuring a gorgeous honey glazed ham as its highlight (or poached jumbo prawns), entertainment will be a classic piano for that warm family feel. Price: Rp.850,000 nett . 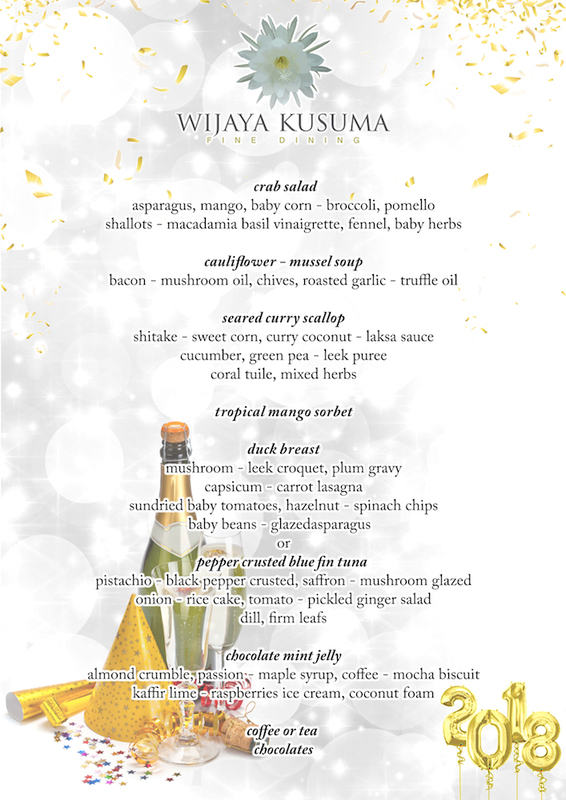 There’s no better way to end the year than with a gorgeous meal, which is what Chef has prepared for New Years Eve. With a duck breast or a pepper crusted blue fin tuna as the highlight, it will surely be a dinner worthy of ringing in 2018. 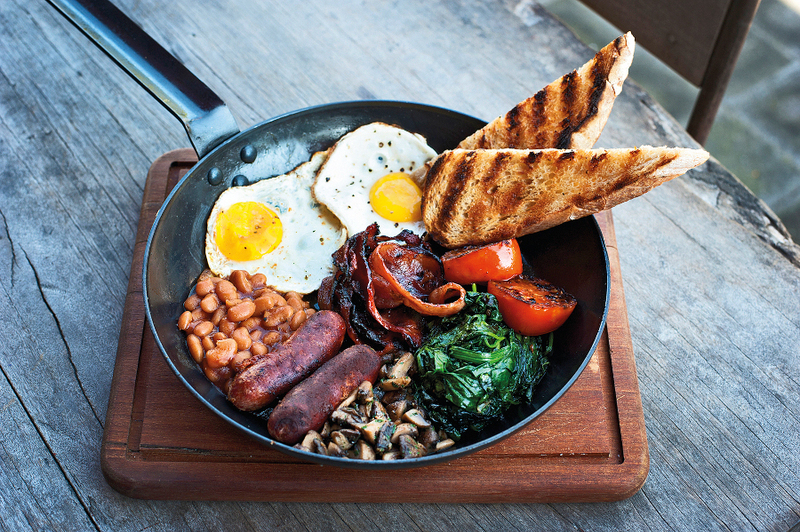 Price: Rp.800,000 nett . The restaurant also has an extensive wine list, many wines available by the glass, and an array of specialty liquors are also available for those hoping to add to the already festive occasions!